Made up of billions of nerve cells within your body, your nervous system communicates with the outside world through its connections with your body. Your nervous system processes information and triggers reactions related to how your body reacts to external stimuli. Weaving its way through your spine, to the surfaces of your skin, and into your brain, your nervous system plays one of the most important functions of any system within your body. From regulating sight, hearing, taste, smell, and voluntary and involuntary functions, most of your body’s regulation is handled on a completely subconscious level. Different types of nerve cells serve various functions. 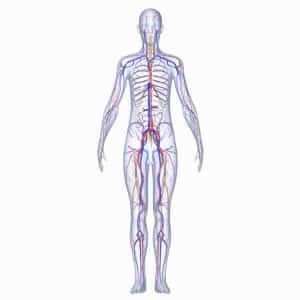 The nervous system associated with your brain and spinal cord is called your central nervous system, while nerve cells that control voluntary and involuntary movements is referred to as your peripheral nervous system. With such an important network working on behalf of your health, how can you do more to make sure that your nervous system stays healthy and vital? Consider the many different ways you can keep other critical bodily systems functioning at their optimum level. Whether it be through eating better foods, quitting smoking, avoiding excessive alcohol, exercising more, and simply practicing better overall wellness, these can all help your nervous systems as well. In fact, plenty of academic studies have shown how important it is to consider something as simple as your diet when regulating your nervous system health. Here at The Dubin Clinic, the work we do applies directly to the nerves in your brain. Our treatments are designed to supplement a healthy lifestyle, reverse specific mental ailments, and provide you or your children peace of mind.